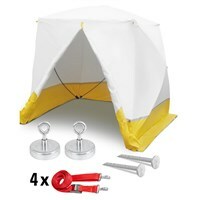 King-size work tent for a whole host of applications. In just five seconds flat roof tents from Trotec are ready and protect against wind and weather. 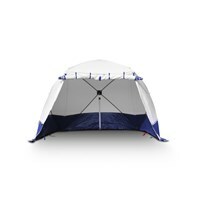 Nevertheless, the tents are extremely durable. 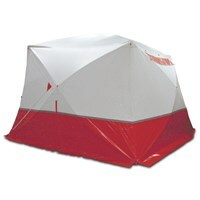 A professional tent that defies even harsh environmental conditions. 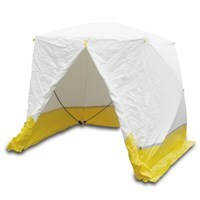 Of course, this Trotec tent is just as robust as any other tents, water-repellent and easy to clean. 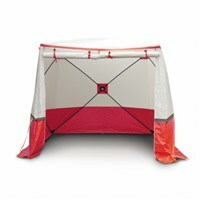 The tents have a maximum weight of 48 kg, so that only two people are needed for the construction. The light weight also allows an easy transport. They are perfectly suited for the installation or use of track construction. 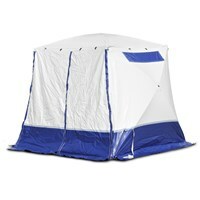 With major construction projects or installation work, it is suitable as a shelter for equipment and personnel. The canvas is translucent and allows, without additional lighting, the installation of electrical systems or welding works.